Infiniti Commercial Pools are Western Australia’s leading shotcrete swimming pool construction company. We design, construct and deliver exquisite custom built swimming pools at all speci cation levels from residential through to commercial. With a combined 30 years of shotcrete construction experience, the directors of Infiniti Commercial Pools personally oversee every project. We ensure that all of our pools are constructed in strict accordance with the Building Code of Australia and to Australian Standards 2783-1992 and 3735-2001. Our team of highly skilled industry professionals ensure that project outcomes are always delivered on time and on budget. Each project comes with its own inherent challenges. Our vast experience with shotcrete construction ensures that we have the strategies and solutions to overcome any obstacles that may arise. 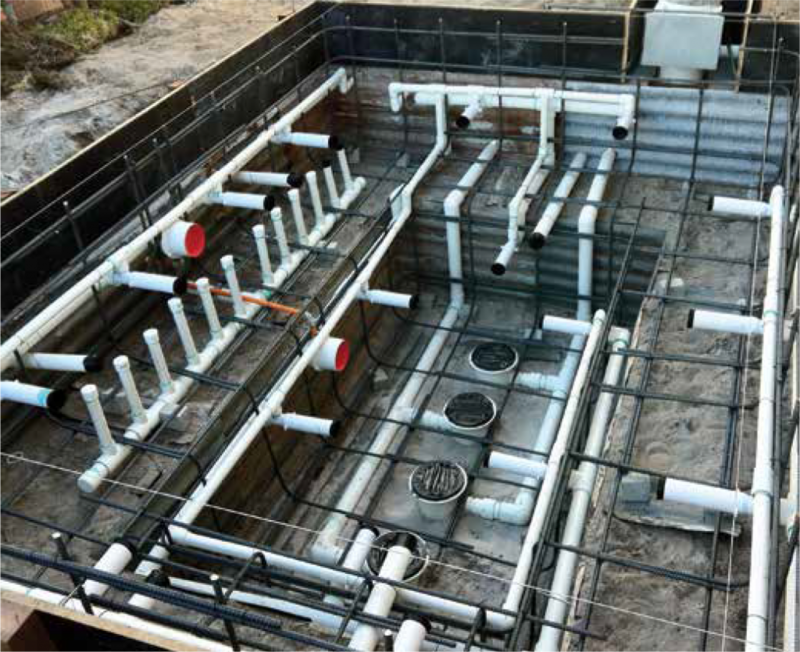 These skills allow us to construct swimming pools that are simply unobtainable by traditional double form and pour construction techniques. 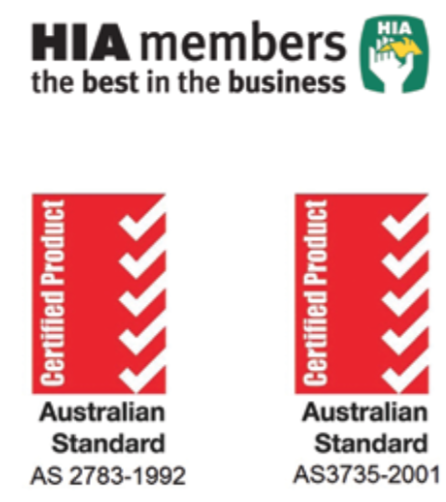 Possessing an intimate knowledge of the Western Australian Department of Health Guidelines for Swimming Pools, and supported by WA’s leading Hydraulic Design Consultants, we ensure all of our safety requirements and sanitising systems meet the required specifications to deliver crystal clear, clean water. 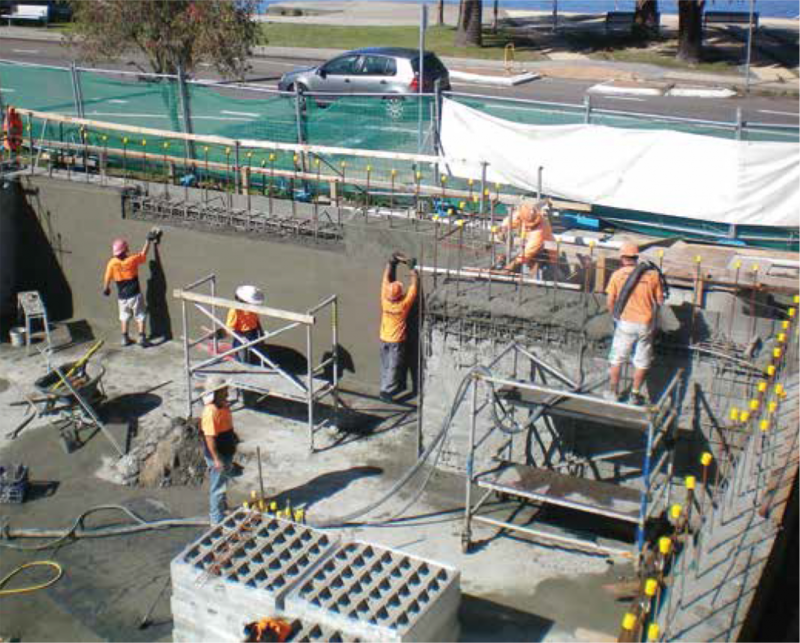 Shotcrete has often been described not as a material but as a process. 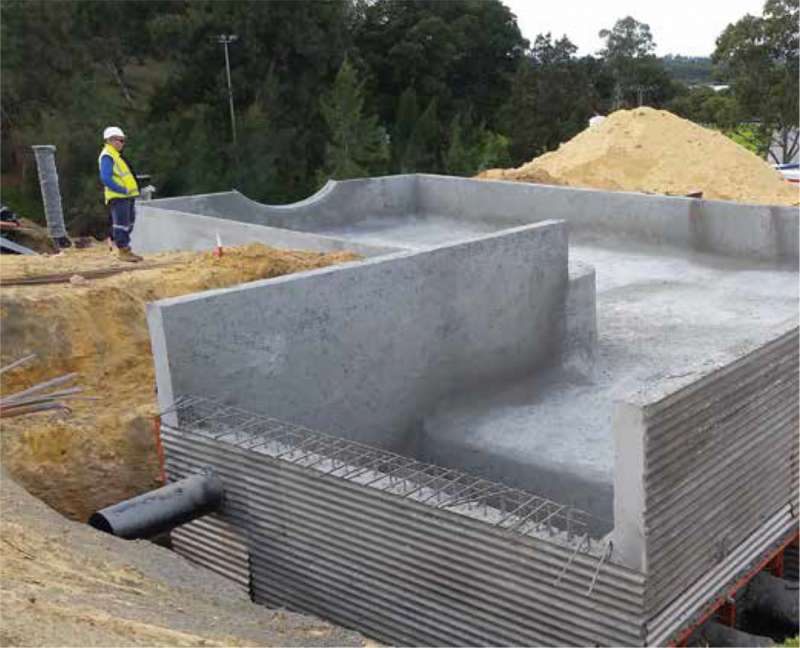 This process produces a structure that exhibits superior hardened qualities such as high strength, low permeability and high durability compared to high quality conventional concrete. 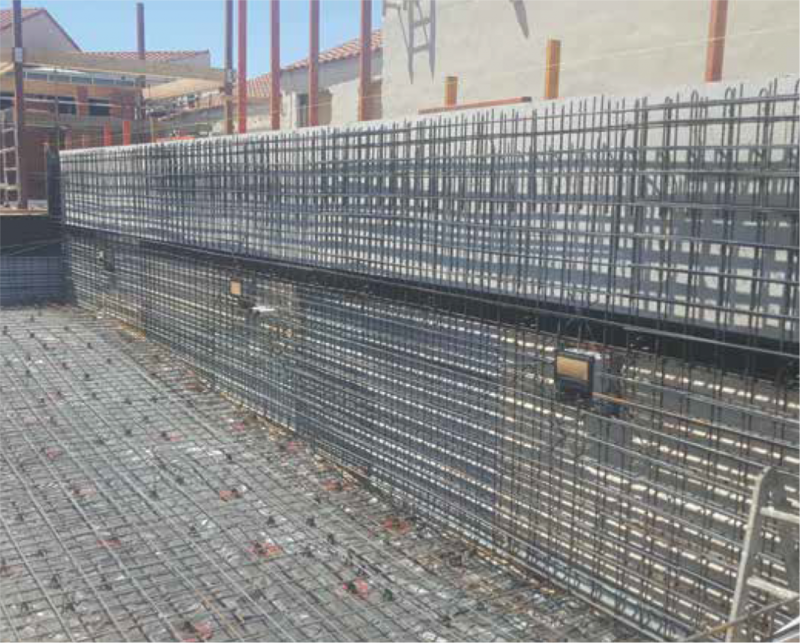 Although the hardened properties of shotcrete are similar to conventional cast in place concrete, the nature of the shotcrete placement process provides additional benefits, such as excellent bond with most substrates and instant or rapid capabilities in shaping, particularly on complex forms or shapes. • Formwork savings of 50 to 100% over conventional cast in place construction. • Crane or other equipment savings or elimination. • Labor savings of at least 50% in repair application. • New construction speed savings of 33 to 50% in forming costs. • Complex shapes require very little, if any, formwork. • Formwork does not have to be designed for internal pressures. • Better bonding to the substrate which enhances durability. • High strength, low permeability. • The ability to access restricted spaces and difficult to reach overhead and underground areas. At Infiniti Commercial Pools, we pride ourselves on the comprehensive health and safety culture we have nurtured and developed over many years. We consider the health and safety of our staff and contractors, and the minimisation of environmental impacts critical to the overall success of a project. We are committed to ensuring all health and safety risks are effectively managed at all stages of construction and delivery. We are very conscious of the need to manage environmental impacts and have a detailed environmental risk management procedure. For each project we undertake a comprehensive health, safety and environmental risk assessment specifc to that project’s requirements. We ensure all staff involved with the project comply with the controls identified in the assessment. We have developed our own comprehensive SWMS for all tasks undertaken and promote a ‘think twice, act once’ mentality in our workplace. Our aim is to assist architects, engineers and project managers in the following key areas to ensure efecient and comprehensive project delivery. Department of Health approved construction of 16mx4.5m public resort swimming pool. Department of Health approved renovation to existing resort pool and filtration upgrade. Infiniti Designer Pools role – Construction of 50 metre long concrete pond, installation of water features and renovation of Dragon statue.